One of the comparisons made in the scriptures is of Jesus to a shepherd. I really like that imagery, of a shepherd who cares for his sheep and the idea that Jesus takes care of us in a similar way. A candy cane is similar to the staff of a shepherd, but that's not the only thing that a candy cane can represent! 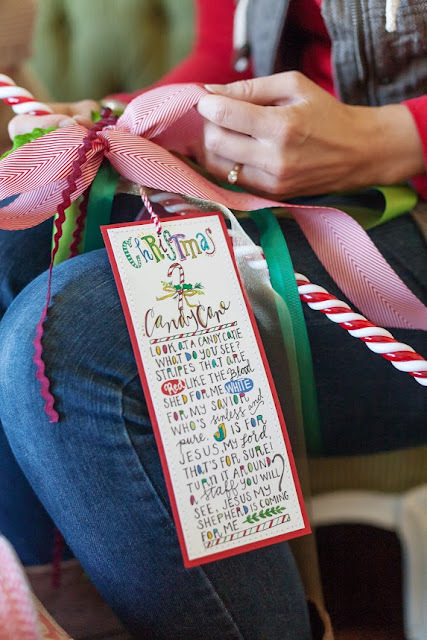 - An Activity: a cute printable that talks about different things that a candy cane symbolizes, and a fun way to show them to your family.